HSSC Food Supply Inspector Admit Card 2018 will be declared by the Haryana Staff Selection Commission (HSSC) for the Food Supply Inspector post. To download the admit card candidates need the information like application number and date of birth. The other details related to the HSSC Food Supply Inspector Admit Card 2018 is specified below. The candidates who had successfully completed the application process and waiting for the admit card or hall ticket for the Food and Supply Inspector examination here is the good news for aspirants. The Haryana Staff Selection Commission will go to conduct the examination process in the month of July 2018. Before that, every candidate will need to download the admit card to participate in the exam. In most of the organizations, the management had released the hall ticket one week or 10 days before the examination. And as per the information from the organization, the admit card will be available from the first week of July 2018. So we advise every applicant will need to download the admit card from organization website. The applicants will also download the Food Supply Inspector hall ticket directly from below provided a link. For more updates about the examination, everyone needs to bookmark this page. The more information about HSSC Food Supply Inspector Admit Card 2018 has given below. The HSSC Food Supply Inspector Admit Card will be available soon to download. The Haryana Staff Selection Commission will upload the applicants admit card in their website in the July 1st week. To download the examination hall ticket everyone will need registration details like application name, date of birth etc. Actually, the application process has started through online from May 2018 and it recently closed. So who want to participate in the examination in July 2018, they will have a call letter 10 days before the exam. Aspirants need to check the information in admit card when it’s downloaded. If have any corrections will immediately inform management. The admit card had important details about candidate and examination. Along with hall ticket need to carry an identity card issued by State or Central Govt like Driving Licence, Aadhar Card etc. Sarkari Recruitment has provided the more information about HSSC Food Inspector Admit Card like notification, important documents need to carry for exam and steps to download the hall ticket are specified below. Interested applicants can also check the All India Exams Admit Cards through this article. The most of the organization have followed the same process i.e written test and interview process to recruit the candidates for various positions. In the same way, the HSSC also will conduct the written test initially to screening the candidates. After this process, the qualified candidates will have a participation in the Interview process. Finally selected candidates these two processes will need to go through certificate verification. Candidates will not enter the examination hall without the admit card or hall ticket for every examination process. With the help of the HSSC Food Supply Inspector Admit Card 2018, the management will easily recognize the fake members in the examination center. Admit card need to submit at the examination with a duly attested photograph. The attested photograph of the candidate needs to be a recent photograph. The details of the candidate should be same in both of the documents and the admit card. Admit card or hall ticket is mainly used to find the bogus candidates who are appearing to the examination without registration. 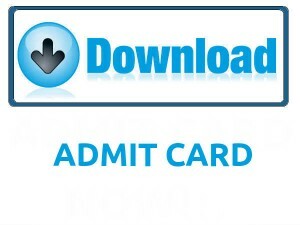 Candidates need to save the admit card soft copy because the link to download the admit card or hall ticket expires for some days. Candidates need to save the admit card till the results are declared. Steps to download the HSSC Food Supply Inspector Admit Card 2018 and the information present on the HSSC Food Supply Inspector Hall Ticket are given detail in the following sections of this page. Admit Card is very important for any examination process. The management will not allow the candidates to appear in the exam without hall ticket. The admit card had a below important information. Every applicant will need to carry any document from below mentioned along with admit card for security purpose at examination place. Below steps are more useful to admit card download process fro the official website of Haryana Staff Selection Commission, without any errors. So every candidate must follow them. The applicable candidates need to visit the HSSC official website, www.hssc.gov.in. Search for the HSSC Food Supply Inspector Admit Card download link. Click on the download link and it displays the registration page. Fill the form with required details like name, application number, date of birth etc. Download the admit card and take the hard copy of that. Submit at exam center along with any id. We hope the above details will more helpful to all applied candidates. Leave a comment on below comment box for further queries. And follow the Sarkarirecruitment.com for more updates on Recruitment, syllabus, previous papers, admit card, result, etc. Thank you.